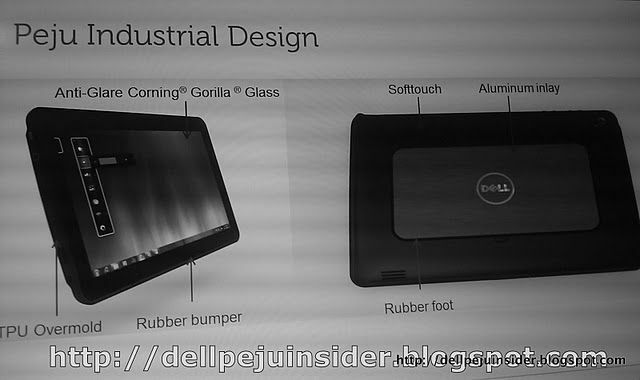 The 10-inch Windows-based Dell Latitude ST tablet was spotted in a leaked product roadmap back in April, and now, based on more leaked internal Dell documents, it’s possible we will see it arrive by October this year. 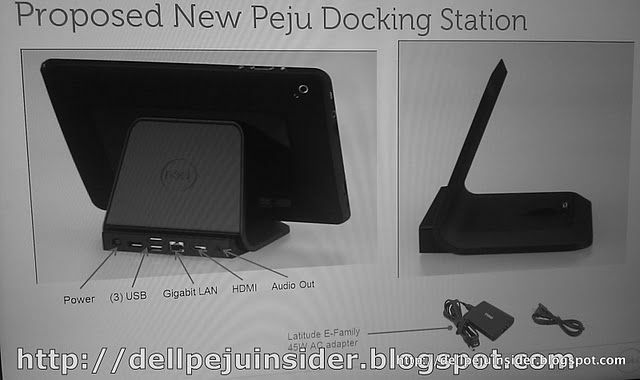 Codenamed Peju, the Dell Latitude ST tablet is now rumoured to be upgradeable to the touch-friendly Windows 8, and features an improved line up of specifications since we last saw it. Bearing a 10.1-inch widescreen with a full HD 1920x1080 resolution, the Windows 7 Pro tablet is powered by a Core i5 processor and 4GB of RAM, and comes in 64GB or 120GB SSD capacities. On face value, this puts the Peju tablet far ahead of any of the current day tablet offerings, though Tegra 3 may soon change that. With SSDs as the base option however, we assume Dell intends to make this a corporate offering (like the HP Slate 500) more than an iPad competitor, with the price closer to mid-range laptops than consumer-based tablets. 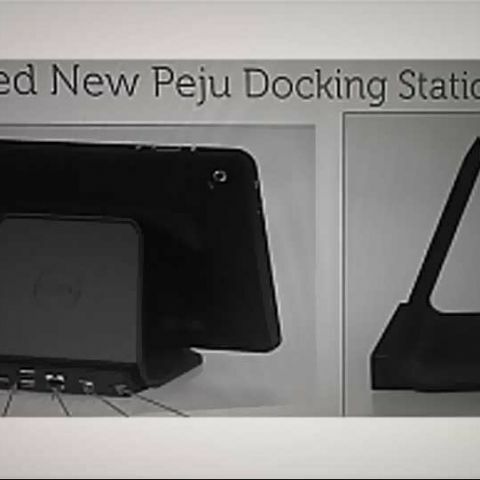 The leaked pictures show an interesting dock/stand for the Peju tablet to work with USB and Bluetooth keyboards. It also has a variety of ports onboard the 0.63 inch thick frame, including two USBs, a mini VGA and HDMI port, a microSD slot, 3.5mm audio jack, and a SIM card slot for data. The tablet reportedly weighs around 0.9 kilograms. Other specifications include a 5MP rear camera, a 1.3MP front camera, Wi-Fi and 3G connectivity, stylus support, and a 5,500 mAh battery that is rated to deliver up to 8 hours of battery life. What is Difference between HD ready and Full HD LED TV ? WHich is the Best 55 inch 4k ,FULL HD tv? WHICH IS THE BEST FULL HD LED, 32 INCH TO BUY WITHIN 35 K ?